With a classic look and fit, the Bauer Nexus 1N hockey gloves provide a combination of new technology inside a traditional hockey glove. 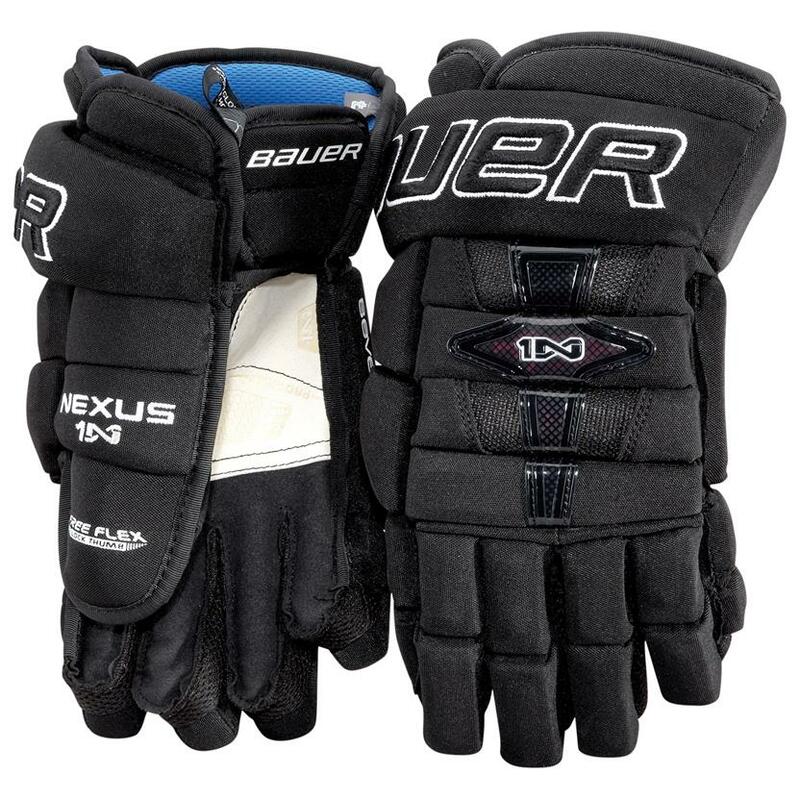 Featuring a Pro Style cuff for excellent wrist mobility and Seven+ Technology to absorb impacts, the Bauer Nexus 1N hockey gloves keep your hands protected from slashes, while keeping them mobile enough to quickly toe drag past a defender. For gloves that look old school featuring new school technology, choose the Bauer Nexus 1N hockey gloves.